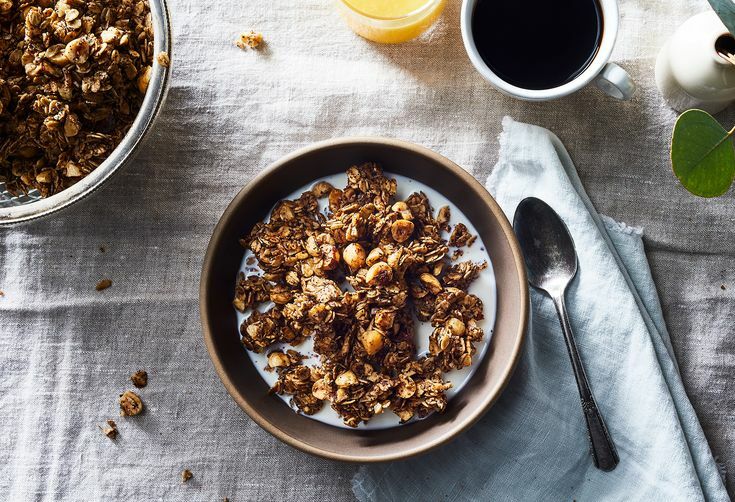 "Can certain foods really help you fight heart disease, arthritis and dementia? In health, as with so many things, our greatest strength can be our greatest weakness. Take our astonishingly sophisticated response to injury and infection. Our bodies unleash armies of cellular troops to slaughter invaders and clear out traitors. Their movements are marshaled by signaling chemicals, such as the interleukins, which tell cells where and when to fight and when to stand down. We experience this as the swelling, redness and soreness of inflammation—an essential part of healing. But when the wars fail to wind down, when inflammation becomes chronic or systemic, there's hell to pay. I'm looking at you, arthritis, colitis and bursitis, and at you, diabetes, colon cancer, Alzheimer's and cardiovascular disease. Cardiovascular disease is the world's biggest killer, and we've known for 20 years that inflammation (along with too much cholesterol) ignites the buildup of plaque in our arteries. Still, no one knew if runaway inflammation could actually pull the trigger on heart attacks and strokes—until this summer. Results from a large, well-designed trial showed that certain high-risk patients suffered fewer of these “events” (as doctors so mildly call them) when given a drug that precisely targets inflammation (aiming at interleukin 1). It was sweet vindication for cardiologist and principal investigator Paul Ridker of Harvard University, who had long contended that inflammation was as vital a target as cholesterol. The patients in Ridker's study had already suffered a heart attack and had persistent inflammation (as measured by blood levels of C-reactive protein). But it is tempting to extrapolate lessons for all of us. Given that chronic inflammation plays a nefarious role in heart disease and many other disorders, shouldn't we all do what we can to keep it in check? And I'm not talking about taking drugs like ibuprofen, which ease short-term inflammation. I mean something we can do every day of our lives: eat right. The underlying science, however, is somewhat shaky. Sure, plenty of foods have been found to reduce inflammation—many of them in laboratory experiments as opposed to in people: turmeric, blueberries, ginger, tea, various vegetables, dark chocolate, fish. 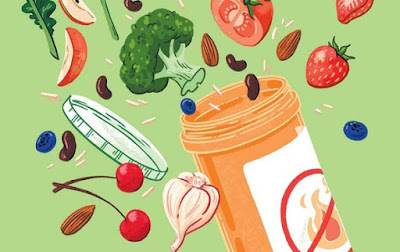 University of South Carolina epidemiologists James Hébert and Nitin Shivappa valiantly surveyed 1,943 such studies and published in 2014 a Dietary Inflammatory Index, with 45 food elements. They created it as a research tool for evaluating diets but concede it's built from studies that varied widely in methodology. When I asked Ridker his views on anti-inflammatory diets, he grew uneasy. “This has caught on like wildfire,” he says, “but I have seen extremely little data that say this piece of food is ‘anti-inflammatory’ and this piece is ‘pro-inflammatory.’” He advises his own patients to eat a Mediterranean-type diet, heavy on vegetables, whole grains and fish and light on red meat and processed foods. That diet, long endorsed by cardiologists, has been shown in well-designed studies to reduce key markers of inflammation and the risk of heart disease. Would it be even more effective if it incorporated more blueberries and turmeric? No one knows for sure. Diet research is tricky. Turmeric may work anti-inflammatory wonders for mice, but “that's in the context of rodent chow with a whole different set of macro and micro nutrients,” explains Martha Clare Morris, a nutritional epidemiologist at Chicago's Rush University. And context matters. The typical Mediterranean diet calls for loads of seafood a week, and yet studies of people taking fish oils as a supplement have not found much benefit. The virtues of fish may lie elsewhere or have more to do with displacing meat. That's why researchers such as Morris prefer to study overall dietary patterns rather than particular ingredients. Her current project examines whether cognitive decline can be slowed with a regimen called the MIND diet, which combines elements of the Mediterranean diet with another well-studied diet called DASH. It will look at inflammation, but results won't be out before 2021. Until then, there is no harm in adding more so-called anti-inflammatory ingredients to your diet. Hébert suggests a spicy chai (loaded with ginger, turmeric and pepper). But remember, context! So don't drink it with cookies and chips. This article was originally published with the title "The Messy Facts about Diet and Inflammation""